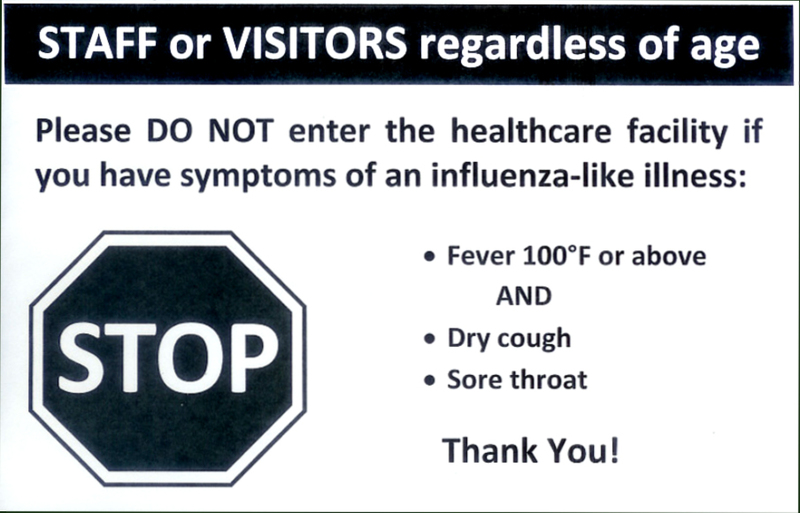 In reference to the updated CDC Guidance on Prevention Strategies for Seasonal Influenza in Healthcare settings, CHA will submit comments on or before the July 22, 2010 deadline for comments. If you would like to share your comments with us for inclusion in the CHA submission, please post them here. This set of Questions and Answers was initially issued by FDA in July 2009. Due to the evolving nature of the 2009 H1N1 public health emergency, FDA has amended the original Emergency Use Authorizations (EUAs) for both Tamiflu and Relenza. The Updated Questions and Answers reflect the information in the amended EUAs. 10-25-09: CDC issues letter and information regarding use of the investigational antiviral drug Peramivir intraveneously in certain adult and pediatric patients with confirmed or suspected 2009 H1N1 influenza infection who are admitted to a hospital. Created by experts at Childrens Hospital Los Angeles as a deliverable for the U.S. Department of Health and Human Services Healthcare Facilities Emergency Care Partnership Program Grant, the Information included in this document is based on learnings from the 2009 H1N1 Influenza outbreak that began in early 2009. The information is intended to provide supplementary recommendations for pediatric pandemic influenza planning and can be used as an addendum to a larger pandemic planning document. An exemption has been granted from California Health and Safety Code Section 124172 subdivision (a) for influenza A (H1N1) 2009 monovalent influenza vaccine administered to children younger than 3 years old and pregnant women for the period of October 12, 2009 – November 30, 2009. On October 22, Cal/OSHA updated and released their Interim Enforcement Policy on H1N1 and Section 5199 (Aerosol Transmissible Diseases). Available for download are the updated standards, guidance on the distribution of state and federal stockpiles of of N95 respirators and the CalOSHA Respirator Supply Documentation form. Describes Medicare coverage and reimbursement rules for the H1N1 vaccine. All providers administering this vaccine should review this article and be sure that their billing staff are aware of this information. Clarifies options that are permissible under EMTALA and reassures provider community and public health officials that there is existing flexibility under EMTALA. July 16, 2009: CDPHi Health Alert update to address the changes in local health jurisdiction (LHJ) reporting requirements for pandemic (H1N1) 2009 influenza cases and outbreaks and provides guidance for clinicians. Please note the name change from novel influenza A (H1N1) in keeping with the World Health Organization’s nomenclature. CDC recommendations for early empiric antiviral treatment in persons with suspected influenza who are at increased risk of developing severe disease. The Centers for Disease Control and Prevention (CDC) released Interim Guidance on Infection Control Measures for 2009 H1N1 Influenza in Healthcare Settings. The guidance is available on the CDC website. The CHA Hospital Preparedness Program has provided a summary of the interim guidance for reference. Policies and guidance which outlines the types of emergency protective measures that may be eligible under the Public Assistance Program in the event of a major disaster or emergency declaration due to an outbreak of a human influenza pandemic in the United States and its territories. This document provides interim guidance for healthcare facilities (e.g., hospitals, long-term care and outpatient facilities, and other settings where healthcare is provided) and will be updated as needed. The Centers for Disease Control and Prevention (CDC) issued recommendations on July 8, 2009 to help state and local health officials decide who should get novel H1N1 vaccine when supplies are initially limited.